Men's vests are the perfect combination of a coat and a jacket without bulky sleeves. You get more mobility this way, which is awesome. And because cold weather vests are so great, we offer this water-repellent Wrangler Riggs Men's Black 3W183 BL Heatseeker™ Fore ... (see full details) (see specifications) #3W183BL. Men's vests are the perfect combination of a coat and a jacket without bulky sleeves. You get more mobility this way, which is awesome. And because cold weather vests are so great, we offer this water-repellent Wrangler Riggs Men's Black 3W183 BL Heatseeker™ Foreman Vest. This men's black vest helps keep you dry and warm when the weather is the direct opposite thanks to the water-repellent exterior and the Heatseeker™ quilted lining. The water-repellent outside causes water to bead up and roll off of the material instead of absorbing, while the lining retains your body heat to keep you warm when the weather turns chilly. If you're faced with poor weather conditions, this men's vest won't let you become a victim to its effects. Crafted for durability in a 10-ounce blend of 60% cotton and 40% Ripstop polyester and triple-stitched main seams, count on this men's Foreman vest for long-lasting wear. Cotton is naturally comfortable and durable, and polyester Ripstop helps keep small tears from spreading into big rips. It’s important that the apparel you wear is able to assist you in your job duties, and this black vest is functional. It's designed with a chest pocket and two pockets on the lower front of the vest. The chest pocket has a zipper, so it's perfect for storing items you don't want to lose a well as things that need protection from environmental hazards like rain. The lower front pockets are great for tucking your hands away or placing items you want to store and retrieve with ease. Everyone loves a good water-repellent vest. You're no exception to that rule, and neither are we. This Riggs Men's Black 3W183 BL Heatseeker™ Foreman Vest from Working Person's Store can protect you from the cold and rainy weather, and it's made with three pockets to offer you the best in functionality. Order yours here today! Absolutly phenomenal customer service. A wonderful company to deal with. I wish more companies valued customers as much as The Working Person's Store does. 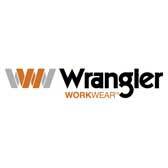 Wrangler Vests: Riggs Men's Black 3W183 BL Heatseeker™ Foreman Vest is being added to your cart.